Oh my, but the costs of a college education never end. Tuition and room and board are only the beginning. 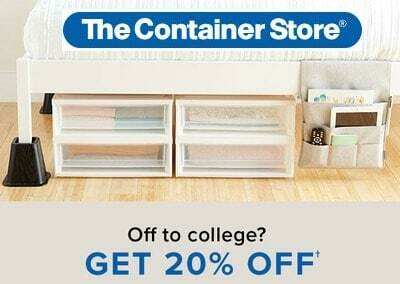 Then the school bookstore wants $298 for a textbook and you need to set up an entire living situation for your darling college student. If you are going to have to buy all this stuff, you don't want to waste a cent doing it. 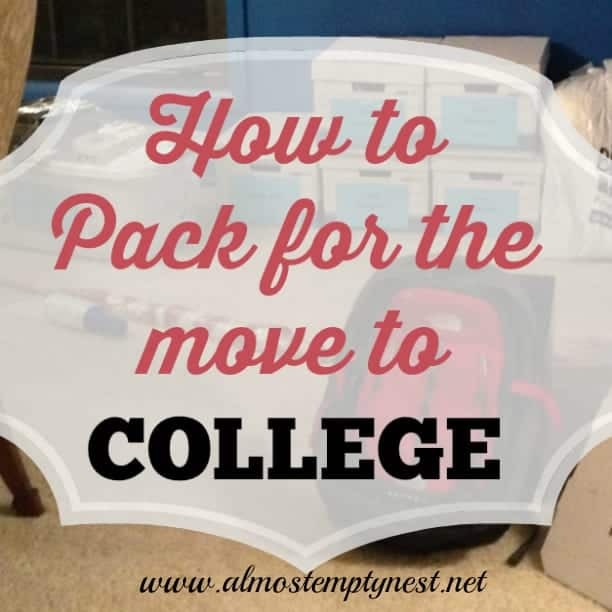 With one already in college and one beginning this fall, I have researched How to Get the Best Deals on Textbooks and College Essentials. Read on for a few tricks from a mamma who has been there. The first rule of buying textbooks is DO NOT log on to the university bookstore and put everything they recommend for the courses in your cart and check out. Your bill will be in the thousands and you will end up with materials your student does not need and that you have paid too much for. The school bookstore will put every resource related to the course that they carry. However, do print the list. The next cheapest option is to purchase a used book. Because most of the textbook dealers list their books on Amazon, you can immediately see the prices from many different dealers. If you like new books and don't mind paying for them, Amazon also sells new textbooks. As I have helped my sons purchase books, I start by checking Amazon. I write down the best price for renting and purchasing used books. Then I check other sites and the school bookstore. I almost always come back to Amazon, but occasionally there is a better deal somewhere else. At the end of the semester or school year, list any books your student is finished with for sale on Amazon. You will get a much better price selling it yourself rather than taking what the school bookstore offers. If you don't want to spend too much on dorm room items, don't over-buy. There are not many items that cannot be picked up later if your student needs them. 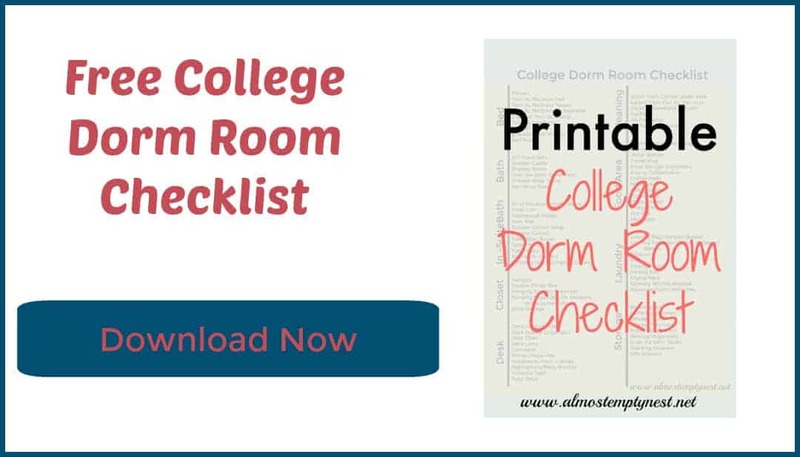 Print out the free College Dorm Room Checklist. You do not need every item on the list or on any list. Lists are a guide of things to consider. When in doubt, don't buy it yet. 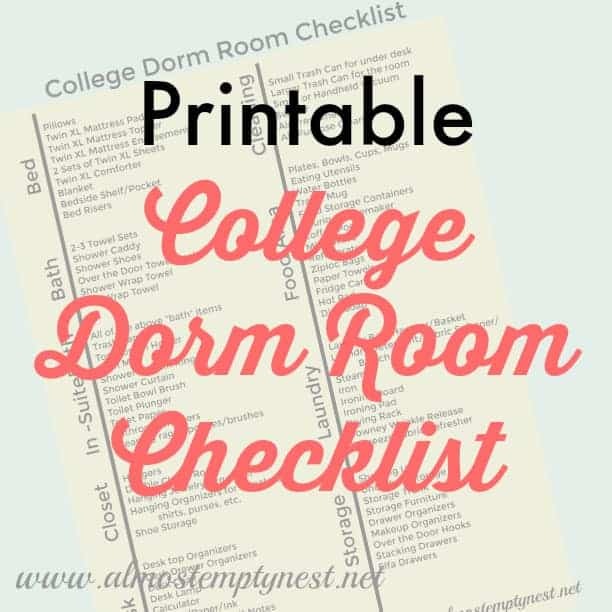 There are a few stores we all think of when shopping for dorm items. They are listed below with strategies for shopping at each. Nobody has cooler stuff than The Container Store. Anything you buy there will be of exceptional quality and will last all through college and beyond. The drawback is that their items are not cheap. Try to buy the more expensive items on sale (they rotate their sales on various products throughout the year.) In addition all purchases over $75 are shipped free. Whether you are ordering online or going to the store, check out Raise for discounted gift cards. Most of the cards can be instantly downloaded, so once you fill your cart, go to Raise and buy a gift card at a discount, then use the gift cards to pay for your order. Cha-ching! Instant savings!! Everyone knows that BBB has 20% off one item coupons everywhere. They come in the mail. They are in magazines. They come via e-mail or text if you sign-up to receive promotional mail from them. 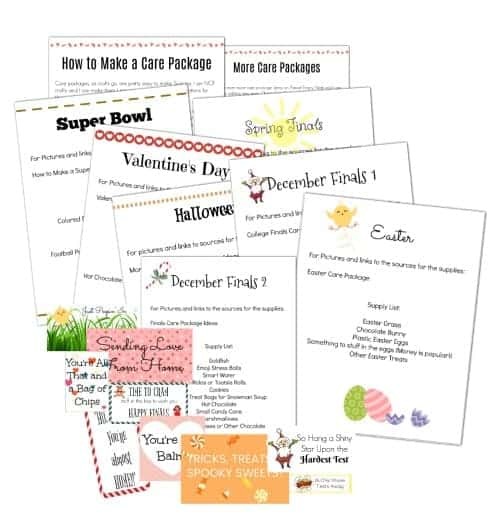 In the stores you are able to use as many coupons as you would like in one transaction. Raise also sells BBB discounted gift cards for both online purchases and in store purchases. Currently Raise is showing Bed, Bath, and Beyond gift cards at a 7% discount. Combing your 20% coupon and your Raise gift card, gives you almost 30% off!!! I am a Target shopper. I am in there at least once a week. If you have not downloaded their cartwheel app, do it now. It is worth the time each shopping trip to search for the discounts they are offering through the app. I can't remember how long I have had the app, but my home screen shows I have saved $334.27 since I began using it. I also have a Target Redcard Debit card. When the checkout person asks if you would like to save 5%, say YES! There is no other credit or debit card offering this kind of benefit on every purchase with no limit. Again, check the Raise app for Target gift cards to increase your savings. If you have never been to IKEA, book a trip. It is like Disney Land for furnishing and organizing small (or large) spaces. Their furniture is of good quality and is amazingly cheap. You will not beat their prices for so many items. They are a great spot for desks, tables, shelves, drawer units, rugs, and all things organizing. Bring along a discounted gift card from Raise. Don't forget Amazon for all your college needs. Is there anything they don't have and have at a competitive price? Our family is Amazon Prime all the way. 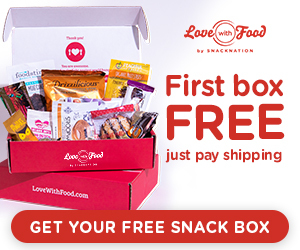 Free 2 day shipping on most everything they sell (plus many other benefits). I do not know how I would do Christmas without my Prime membership. Your student can use your membership while at school. They do not need their own. If you do not want a Prime membership, but your student could use one, an Amazon Prime Student is available for free for 6 months and then is half the price of the regular prime membership. 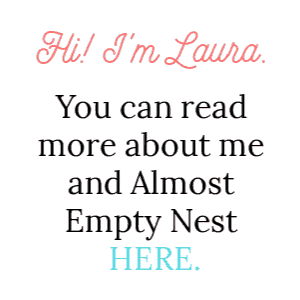 I am excited about the [email protected] location. My son can receive packages and return things easily and securely with the Amazon lockers. It is also a rental book drop-off location. Raise also has discounted Amazon cards. I periodically purchase some and put them in my account. I wish summer would last forever. 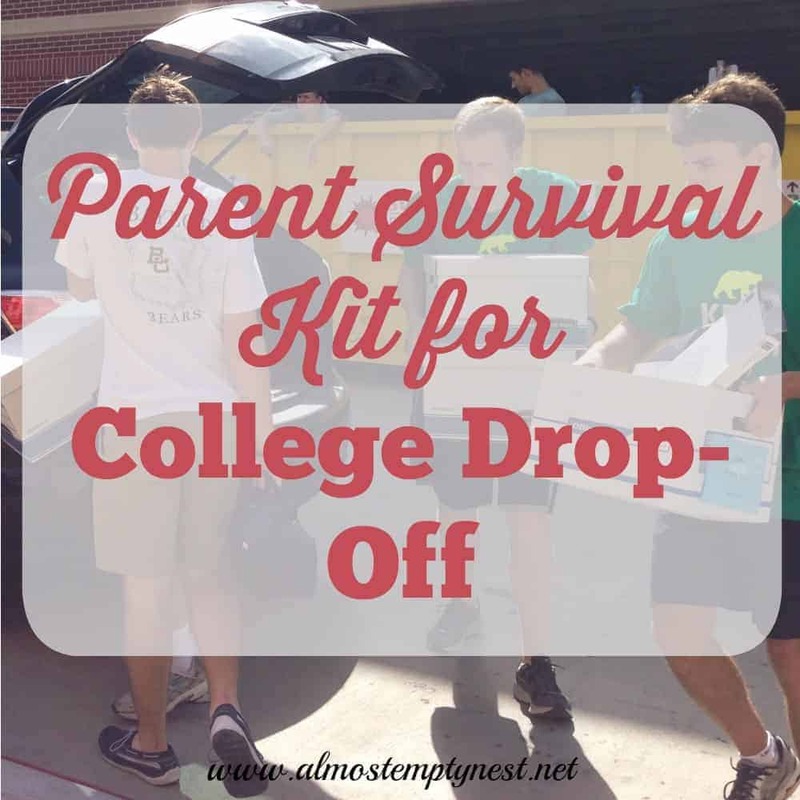 I love having my kids around the house, but back to school and the cost of back to school is inevitable. Knowing How to Get the Best Deals on Textbooks and College Essentials will protect your wallet while you stock up on the things your kids will need for the school year is a necessity! There are several ways to squeeze every penny out of each purchase. Make your best deal with coupons, sales, tax-free weekends, and apps, then search for a discounted gift card from Raise before you check out. What are your tips for Back to School Shopping?